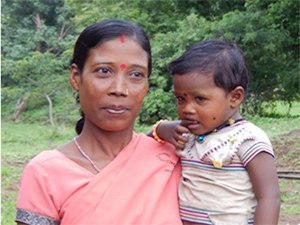 Koushalya’s actions in her village have benefitted 1200 people. From her village, people have to walk 6km through the jungle to the main road and then another 5km to town to get the rice quota allocated to them by the government. The prospect of this dangerous trip meant many families missed out on their quota. After being trained by The Hunger Project, Koushalya successfully lobbied for her village’s rice quota to be delivered directly to her house where she stored it in her spare room so 1200 people can now easily get the rice to which they are entitled.